I was fortunate enough to have a very exciting year for my photography in 2013. I wanted to take a minute to take a look back at some of my favorite events from the past year. I decided to keep the list short and and keep order the chronological as it would be terribly difficult to rank them. If you've been following throughout it all, I can't thank you enough for your support! If this happens to be your first time here, I'm very happy to welcome you and I hope you stick around to see what comes next! Happy 2014! Although Superstorm Sandy hit in October of 2012, it wasn't until the first week of January 2013 that I took my first photo of anything relating to the storm. Overall, I had little interest in photographing any of the destruction left behind by Sandy, but this photo was one that I felt I needed to capture. Growing up just fifteen minutes from Seaside Heights, I spent many Summer nights enjoying the boardwalk with friends. 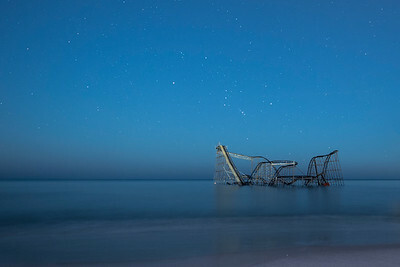 On the first night that the curfew was extended in Seaside Heights, I took exactly two photos. Sleep Well My Friend is the first of the two. The second was ruined by the oncoming headlights that politely asked me to leave the beach. I took my best guess at the settings I would need and set my focus before I got out of my car. It was probably the shortest outing to capture a photo that I've ever had, but it's a night that I won't ever forget. I think it's safe to assume that each photographer has a photography bucket list full of places or events that they dream of capturing. 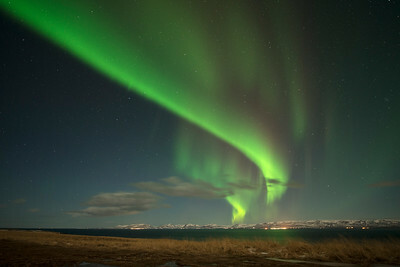 For me, photographing the Northern Lights was pretty darn close to the top. 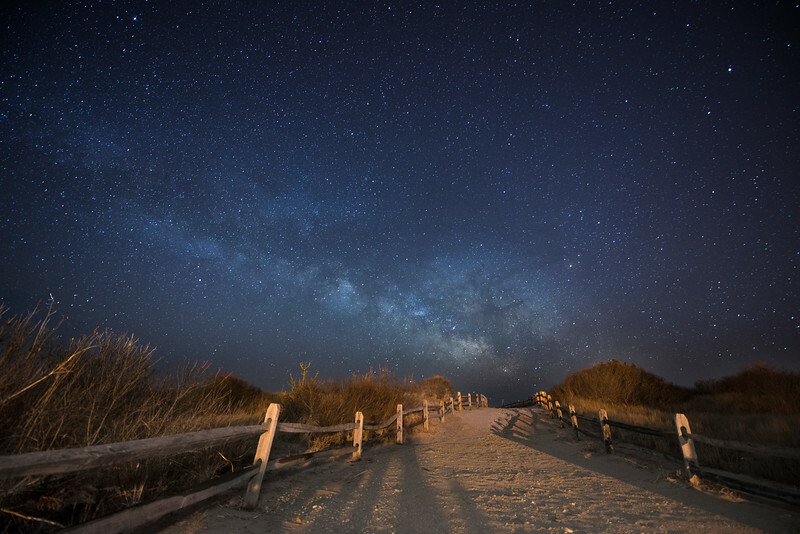 Although New Jersey isn't typically considered very far South on the map, when it comes to seeing the Northern Lights, it's generally out of the question. Dark skies and a high latitude are two of the most critical components that will increase your chances of seeing the Aurora light up the Northern skies. 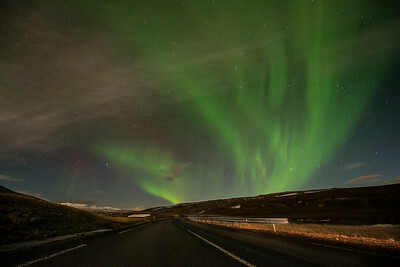 In January, I headed North to Iceland and hoped for the best. On the last day of my brief trip, it seemed that all of the elements might align and offer up the chance of a lifetime. After hours of driving and a treacherous slide down an icy hill, what I finally saw was unforgettable. 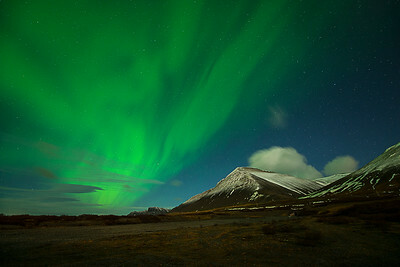 A bright green ribbon shooting up from the Northern horizon and dancing through the sky over my head. The feeling I experienced is truly hard to describe and I could not be happier to be able to share what I saw. It was a brief moment, but it's definitely one of my favorites from the year. I often have ideas for photos long before I actually take them. Sometimes I'll find a location and then figure out the exact time that I'll need to be get the shot. Other times I'll pre-visualize a photograph without really knowing where it is that I'll finally capture it. This photo was one of those moments. 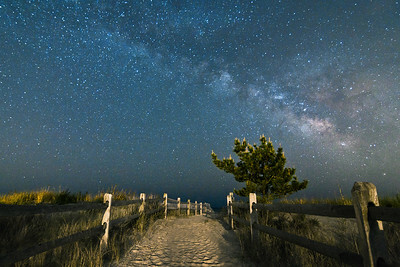 A somewhat winding beach path leading right up to the Milky Way; I knew this was the spot as soon as I arrived. Finding a location that I've had in my head without ever seeing it probably isn't a very traditional way to come up with compositions, but it's certainly exciting when I finally stumble upon the spot that will make it all come together. It was taken on March 10th and is absolutely one of my favorite photographs I've taken in New Jersey. In the early Summer, I had work hanging at a wonderful cafe in Ocean City, NJ called Positively 4th Street. 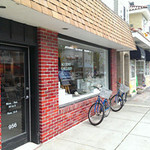 This lead to my introduction at the Accent Gallery just a few blocks away. For the past 40 years, the Accent Gallery has showcased contemporary paintings from both international and local artists. Upon my first visit, I was very impressed by both the work and the presentation of the gallery. Not typically displaying photography, it was quite the honor to have them take a chance on adding my work to their collection. In addition to having my prints on display, the Accent Gallery was also kind enough to organize an open house and invite me to give a presentation on my work. The lecture stands out to me as one of my personal favorites to date. In the past, a projector is generally provided during my lectures to display images for all to see. The problem with this is that often the image displayed does not match the true color and sharpness. At the Accent Gallery, I stood in front of a wall of my photos being displayed as metal prints, exactly how I intended for them to look. A lot of time is spent ensuring that my prints looked precisely how I want them to look. It was great to be able to share and discuss the stories behind those photos and while they were being presented as such. As of this day, I am proud to have work displayed in their beautiful gallery. If you're in the area or have a trip planned, I hope you're able to set time aside to stop by and admire the impressive work on display. For a good part of 2013, I stayed relatively quiet all while working hard to finish my first timelapse. After 10 months of planning and shooting, I finally released Home At The Shore in September. 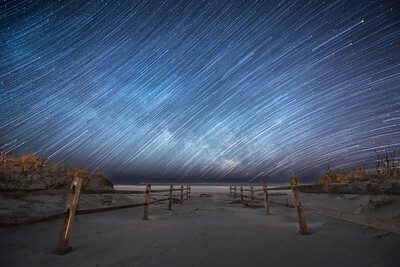 The video highlighted some of what I consider to be the most beautiful beaches in New Jersey and also some of my favorite locations for stargazing. This was the first long term photography project and also the first timelapse video that I had ever attempted. 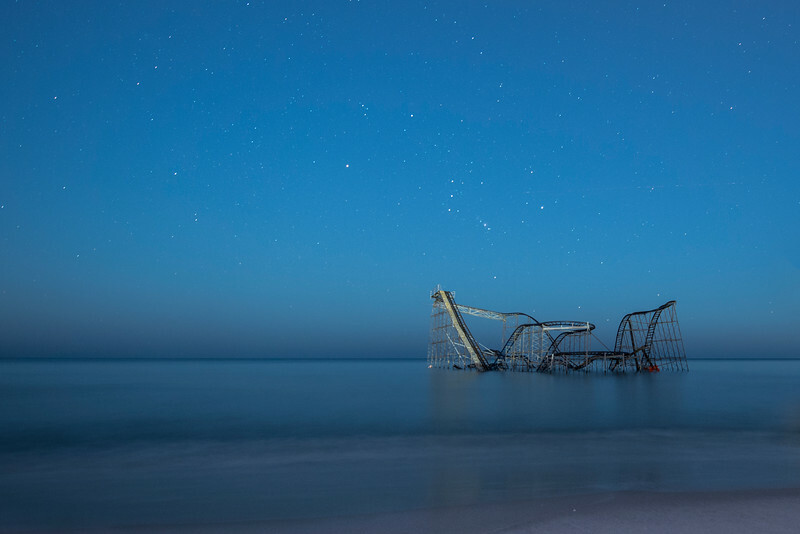 After Superstorm Sandy had forever changed so many of the places that I grew up loving and so many spots that I had often returned to for stargazing, I hoped the video would serve as my tribute. The release of the video caught attention from National Geographic, being featured on the front page and on a blog post as well. 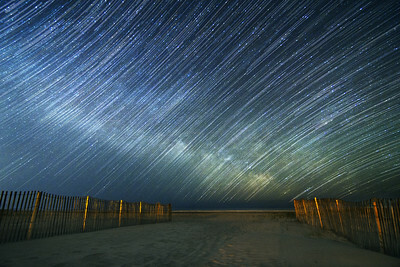 It was also featured / shared by EarthSky, NJ.com, Universe Today, NewsWorks, News 12 NJ, and many more. It was certainly a proud moment for my first timelapse effort to receive such attention. I was blown away and could not have been any happier. In October, I took a fairly last minute trip to Alberta, Canada to attend and create of a timelapse of the third annual Dark Sky Festival in Jasper National Park. There are many factors to consider when looking for locations suitable for night photography or stargazing and I assure you that Jasper holds every single one of them. I arrived at the park after a four hour drive from Edmonton and had to resist stopping every other minute to take in the view. I eventually made my way to the Jasper Park Lodge, dropped my bags off and immediately set back out to explore. Not having any time to pre-plan before my arrival, I was constantly on the move and taking notes to make the most of my time. The forecast looked to be suitable for two nights of my stay and I wanted to take full advantage. Each timelapse sequence that lasts a mere ten seconds generally takes a few hours to shoot all of the photos to create it. Add in travel time to each location and it's certainly not a quick endeavor. In the end, I used over 2,000 photos to create a short timelapse from my time spent exploring. 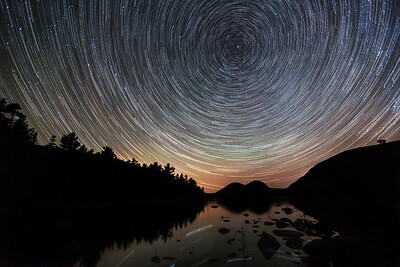 The timelapse has been featured by National Geographic, Universe Today, and it was also featured alongside an interview I did with the LA Times. It was an exciting year to see some of my favorite photos sold in all sorts of sizes and in all different finishes. It's always fun to see a photo in print, whether it's an 8x10 on metallic paper or a huge 30x45 printed right on metal. Below are a few of my best selling photos from the past year. Thank you to all of those who have chosen to display my photos in your home or office!